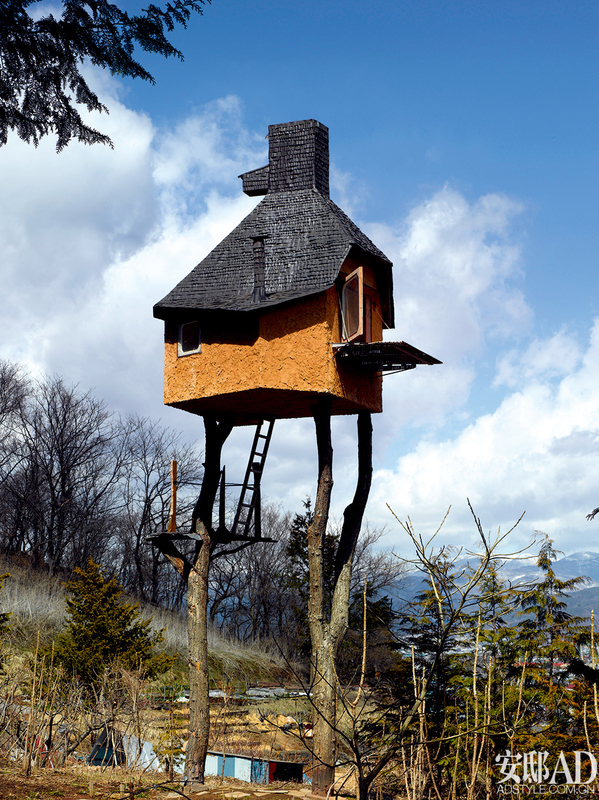 This is a ridiculous tall house located in Nagano, Japan and designed by the famous architect Terunobu Fujimori. He built it on family property and the house is on two existing tall timbers. Fujimori's motivation on builting this house, which is used as a tea house and hence called the Too Tall Tea House, was less about the art of tea making and more so on how far he can push the limits to tea house construction. The tea house may be a bit dangerously tall but the stunning views from a top, while drinking your favorite tea, might just be worth it.